PINEVILLE, La. 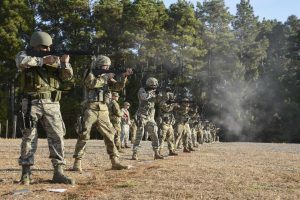 – The Louisiana National Guard’s top marksmen from around the state gathered at Camp Beauregard in Pineville for the annual Adjutant General’s Match, Oct. 19-20. 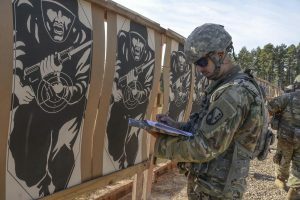 The 72 Soldiers and Airmen that competed in the match had the opportunity to put their skills and training to the test, with top shooters earning a spot on the Governor’s 20. Each team consisted of four shooters: two veteran and two first-year competitors. Chapman said he models the competition after the national and international level competitions Soldiers can compete in. The matches were designed to improve combat readiness by exposing shooters to stressful shooting situations. The competition challenged the shooters rifle and pistol skills in areas such as precision shooting and reflexive fire. 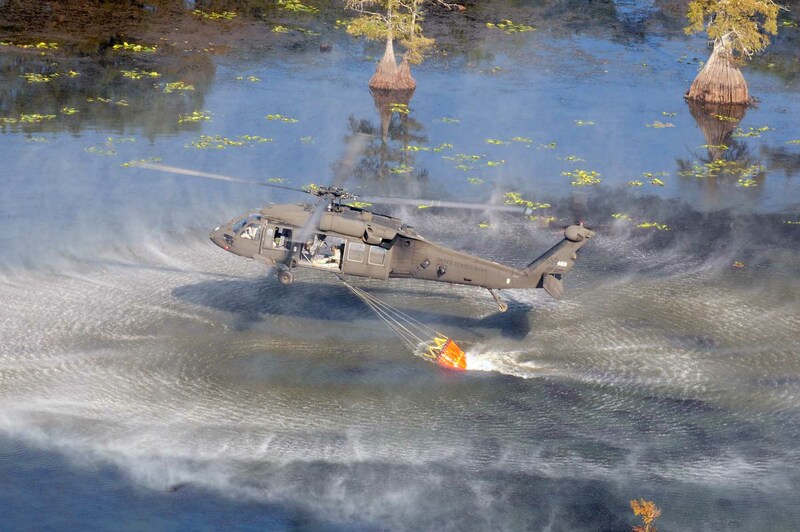 Soldiers and Airmen not only test their skills, but they get to learn and train with the veteran competitors. Thomas wasn’t the only one who found support from other competitors. TAG Match veteran Sgt. Andy Gonzalez, a Marrero native with the 62nd Civil Support Team, also talked about how camaraderie between competitors helped every marksmen to improve. In addition to the top twenty competitors being awarded a Governor’s 20 tab, the top 10 percent earn a bronze Excellence in Competition badge. 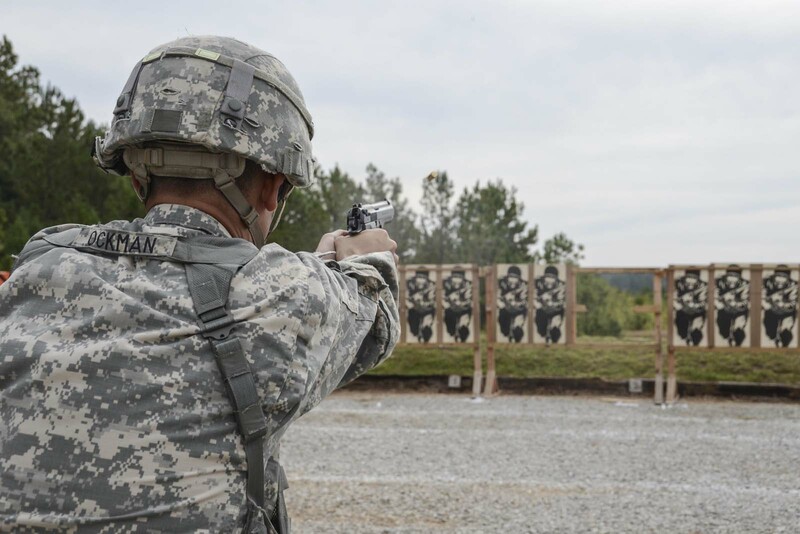 These shooters can then compete at regional and national levels to earn points towards the gold EIC badge, which is the highest military marksmanship designation. 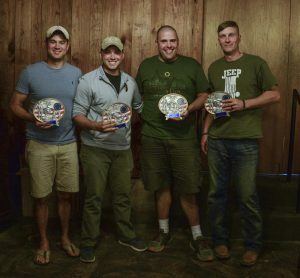 At the end of the competition the Soldiers and Airmen attended a dinner to hand out awards to the top shooters and the top team. This year Army Sgt. 1st Class Michael Clark, a Greenwell Springs native, was named Top Gun with the highest overall combined score. Clark also had the highest scores in the EIC Pistol match, the Anti-Body Armor match and highest individual score in the Individual Pistol match. the Rifle Run Down matches. 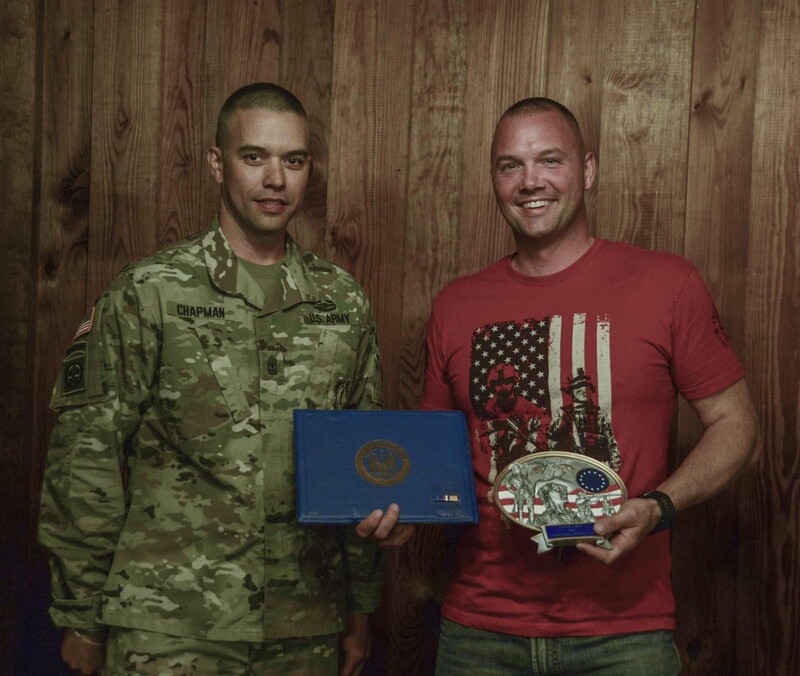 Chief Warrant Officer 2 Ryan Martin, a Carencro native, had the highest score in the Rifle Reflexive Fire match. Air Force Staff Sgt. Michael Lobre, a Metairie native, had the highest score in the Special Zero Rifle match. 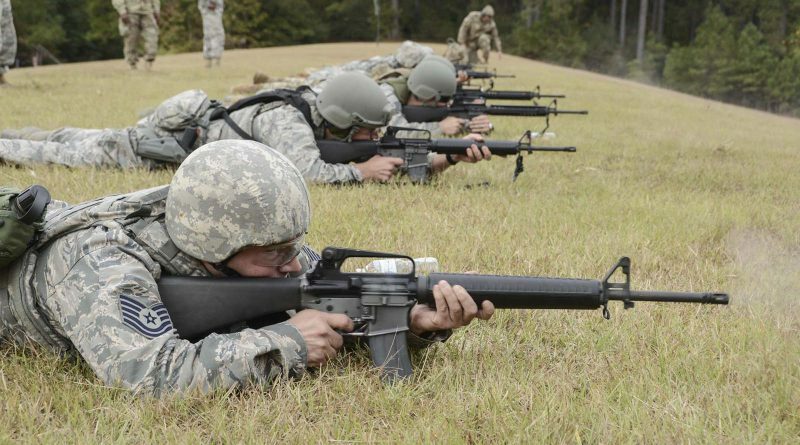 Army 2nd Lt. Gary Eicke, a Metairie native, had the highest score in the EIC Rifle match. Highest team honors went to C Trp., 2-108th, 256th IBCT, consisting of Army Staff Sgt. Courtney Arrington, a Minden native, Army Sgt. Benjamin Cotton, a Shreveport native, Army Sgt. Jon-Michael Miller, a Shreveport native, and Army Sgt. Jonathan Wood, a Kenner native. 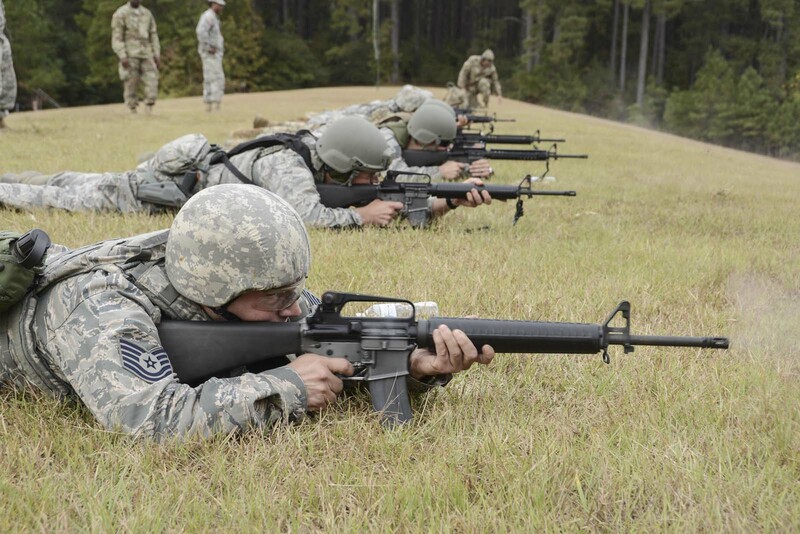 These Soldiers and Airmen will now represent Louisiana at the national competition next spring.